How do I choose a stethoscope when there are so many out there?! Think about where you work. Do you work in a clinic? Do you work in the pre-hospital setting? Do you work Med/Surg? Obstetrics? You need to think about your work setting, and which stethoscope best fits that environment. Is your environment quiet, or is it chaotic and full of loud background noise? Will your stethoscope be prone to being soiled and require constant deep cleaning? Will my stethoscope have a place that I can keep it, or will it need to be carried on my person at all times? Picture yourself at work and what a day for you and your stethoscope might look like. 3M Littmann Lightweight II S.E. 2. What do you need to be able to do? Think about the daily requirements of your job. Are you just going to be using the stethoscope to obtain blood pressures, or are you going to be listening for the faintest sign of valve disease? Do you do simple assessments, or perform extensive diagnosis? You need to consider what your role in the healthcare setting is before you settle on a stethoscope. The right stethoscope for someone in a role, may not match what a colleague working in another role requires. Did you know that we have made some stethoscope recommendations for many health occupations? You can find the job guides above. The quality of stethoscope you can purchase may vary greatly based on where you are on the career ladder and your income. Due to the high cost of education for many health professions a student may need to start with a low cost stethoscope to get something on hand while managing other expenses. A stethoscope should be looked at as an investment. One may experience less stress and frustration by purchasing a higher quality stethoscope rather than struggling with the frustration of many lower quality devices. When you find yourself strapped for cash consider starting with what you can afford and then upgrading as you are able to. When examining how affordable a stethoscope is one needs to consider not only the initial expense, but also the replacement cost if lost. Stethoscopes have an uncanny ability to walk off on the job. Never buy something that you would be heartbroken to lose. Also, keep a close eye on your prized set of ears! 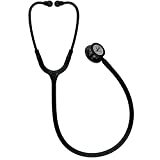 Where is the best place to buy a stethoscope? Much of this depends on your location. If you live in a metropolitan area with medical supply or scrub shops you may benefit from the ability to go in and try out a stethoscope in person. This can be a great option for someone who has never handled a stethoscope before they have to make their purchase. 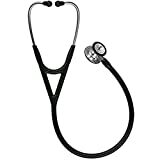 For those individuals who have the ability to get their hands on a friends stethoscope you may be able to get a feel for a certain model, and then be able to shop around online for the best price on a stethoscope. Regardless of where you decide to buy, try to find a retailer that has a robust return policy. There is no sense in buying a stethoscope you are stuck with only to find out it doesn’t fit your needs. Additionally, look for retailers that are authorized distributors of the brand of stethoscope you pick. Some manufacturers will only honor warranty policies if the stethoscope was purchased through an authorized retailer. If you buy second hand, or from a store with no relationship with the stethoscope company you may find warranty servicing to be an issue should a problem arise with your stethoscope. It never hurts to look for reviews of potential retailers to see what the experiences of other health professionals has been. Stores flexible return policies, quick shipping, or a large variety of in-stock stethoscopes are sign of a low-risk places to shop. A retailer that simply stocks stethoscopes among a large inventory of unrelated items may not have the same insight as a retailer who has in-depth knowledge on the use of stethoscopes, and who might be able to give advice on the best stethoscope for you. You can gain some insight into warranty policies and find authorized distributors through our stethoscope brand section. There you will find some basic information on the major manufacturers. What are some good resources for learning how to use a stethoscope? First check out our tips and tricks section! We’ve been working to add more resources and articles on stethoscope best practices. I hope that you find these posts helpful in your day to day use of your stethoscope. For the vast majority of readers, your stethoscope skills will have come from your healthcare career education. That said, there is always more to learn in the field of medical care and finding good resources to expand your talents as a practitioner is an excellent move for any professional. YouTube has many video channels that are dedicated to medical education. There are many videos produced by students of various training programs that walk through the basic assessment techniques used in auscultation. Whether you have been out of school for a while, or have a renewed interest in sharpening your stethoscope skills you should be able to find useful tutorials that can be watched in a short period of time. The best thing about YouTube content is that it is free which helps you save money! My favorite resource for auscultation skills is EasyAuscultation.com. This website offers a systematic exploration of various normal and abnormal assessment findings that can be discovered with the stethoscope. They provide an impressive library of sounds that can be heard over both the lungs and cardiovascular system. When you are just learning how to use a stethoscope having an idea of what common findings sound like will empower you during your clinical experiences. What should I look for in stethoscope reviews? Finding resources you can trust when looking to make a purchase can be frustrating. The advantage to working in the healthcare field is that there are many respected voices out there who can give insight into what to look for in a stethoscope. The best place to start looking for advice when looking to purchase a stethoscope is with your peers. The people that you work and study with may offer some of the most honest opinions, as well as providing a perspective that aligns closest to your professional role. As a nurse I always sought insight from fellow nurses and nursing peers to determine what I should look for in nursing products. Any other healthcare professional may find their peers to give a viewpoint that is more appropriate. The best thing you can do is move beyond simple star ratings or number of devices sold, and really look for in-depth commentary on experiences with a stethoscope. Find reviews from people who live by and depend on the stethoscope for their job. Look for a review that remains steadfast with time, and that helps to share experiences with you that could easily be your own experiences. Any review should acknowledge potential flaws and downsides with a product. Nothing is perfect! Don’t be so myopic to think that there are not potential problems with a device. Copper: The Choice Alloy for Stethoscopes? © 2019 StethoscopesReview.com – The Best Stethoscope Reviews from a Nurse.